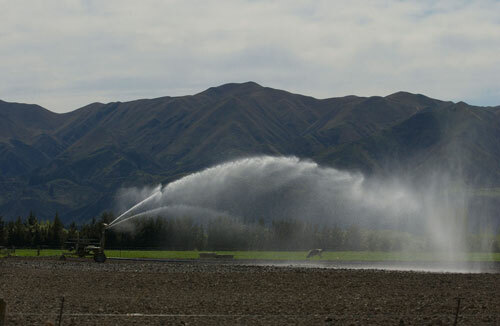 This irrigator sprays water in a wide circle. It moves slowly across a paddock by winding up a wire onto a drum at its base. The other end of the wire is fixed at the end of the paddock and acts as an anchor for the spray unit.